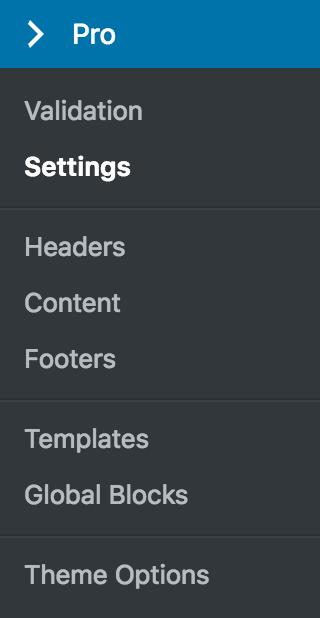 The Permissions box is broken up into a role navigation up top, and each role's corresponding permission settings found below. 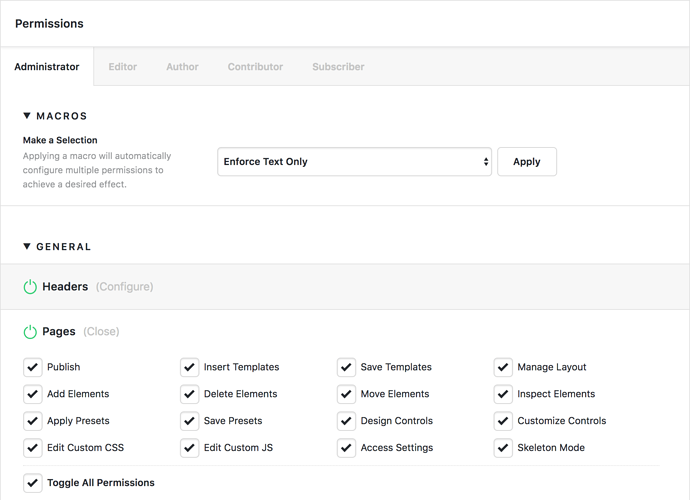 The role navigation will reflect any available WordPress roles currently found within your installation. For instance, if you have WooCommerce installed, you will see a few additional roles included such as "Shop Manager," "Customer," et cetera, in addition to the standard five roles that WordPress provides out of the box. Once you've selected the role you want to work on, you can begin editing it below. Macros – Contains a select control with multiple common configuration options such as turning off certain groupings of elements, enforcing a "text only" mode for certain users, et cetera. This effectively allows you to perform certain mass actions with the click of a mouse. General – Contains configuration groupings for different builders and tools amongst the products. You can allow or disallow access to a tool altogether, or configure individual features on and off as desired (i.e. you may want users to be able to apply presets but not save presets in a particular builder, et cetera). User Preferences – Contains options to configure how the preferences panel within the tools should operate for a particular role. For example, you can allow a particular role to specify for themselves if they want a certain feature on or off, or you can enforce something to be on all the time or off all the time. For example, you may want to always turn off Help Text for admins, while leaving it always on for authors. 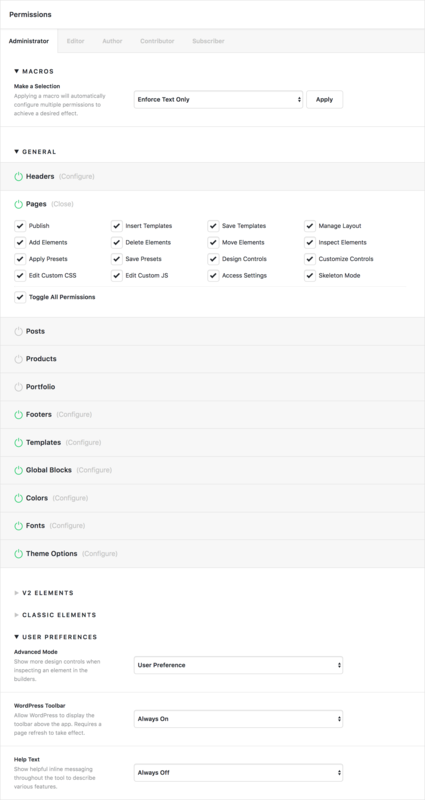 From here you can get as granular as you need for any particular feature or Element for any specific WordPress role. 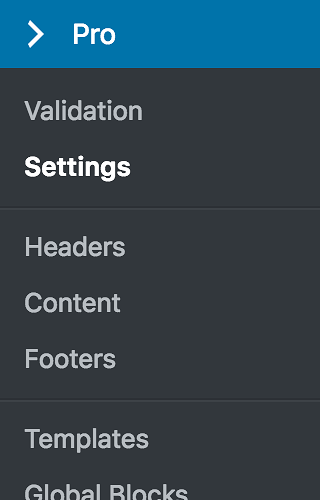 Please note: Disabling "Design Controls" or "Customize Controls" at either the Element or Builder level will only take effect when Advanced Mode is not in use. This is a quick way to restrict users to only editing content, but you'll want to use the option to force their "Advanced Mode" preference to "Always Off". How to do you resize an image? How to have only basic editor instead of cornerstone? Text customization no longer in CS? Edit with cornerstone is not possible anymore? No more editing of posts with pro? Can we edit wordpress posts using pro? Cornerstone not able to create/edit posts anymore? Posts missing "edit with cornerstone"